WHAT we need is a health care system that caters for the needs of all Sunraysia residents. The facilities needed should be based on what those needs are. Those needs should be well ­researched so that the appropriate assets to meet them can be put in place. Jeff Kennett and his party have a philosophy that says free enterprise is the answer to all problems and we are the recipients of an ­experiment of that philosophy. However, in the US, where there is great faith in free enterprise, the health care system costs that country twice as much as comparable developed countries who have health care systems supported and run by the state. While the US has centres of ­excellence, its general outcomes fall far short. What we need is a well managed health system that is transparent and ­accountable to the community. It is time the state took respons­ibility and made sure this community has the health system that we need and works for everybody. GENEVA • A deadly Ebola outbreak in the Democratic Republic of Congo has a clear "potential to expand", the World Health Organisation warned yesterday, as it reported seven more cases of the disease. "We are on the epidemiological knife edge," Dr Peter Salama, in charge of emergency response at the WHO, told a special meeting on the outbreak that has killed 27 people. The agency issued a new toll, saying there had been 58 cases since the outbreak was declared on May 8 - an increase of seven over figures issued on Tuesday - and said it was actively following more than 600 contacts. PARIS • Scientists have identified the mechanism that allows breast cancer cells to lie dormant in other parts of the body only to re-emerge years later with lethal force, according to a new study. In experiments with human cells and live mice, researchers showed that disabling the mechanism - with drugs or gene manipulation - crippled the cancer cells and inhibited their capacity to spread. The discovery, reported in the journal Nature Communications on Tuesday, provides a promising target for the development of breast cancer therapies, the study said. ISTANBUL • A court in Turkey has sentenced 104 people to life in prison for involvement in the failed military coup of 2016, handing down the heaviest penalties possible in the country. The defendants were part of a group trial of 280 people, mostly military personnel, accused of participating in an attempt to overthrow President Recep Tayyip Erdogan. Scuffles broke out at the sentencing on Monday as some of the defendants tried to attack two witnesses who had turned state's evidence and given details of the plan during the trial, according to Turkish news reports. The World Health Organization has announced a comprehensive plan to eliminate industrially produced trans-fatty acids from the global food supply by 2023. It’s a good idea—but the five-year plan may be overly ambitious. The plan, called REPLACE, urges global governments to eliminate the use of industrially produced trans fats, also known as partially hydrogenated oils (PHOs), within the next five years. It’s a logical next step given that many jurisdictions, particularly those in wealthier countries, have already taken similar measures—but the challenge now will be in getting low- and middle-income countries to follow suit, a more difficult task owing to weaker food and safety controls. Trans fats, which are produced when vegetable oil hardens in a process called hydrogenation, can be found in margarine, ghee, and shortening products like Crisco. Margarine was super popular in the 1970s, as it was touted as a healthier alternative to butter back when saturated fats were, perhaps unfairly, linked to heart disease. 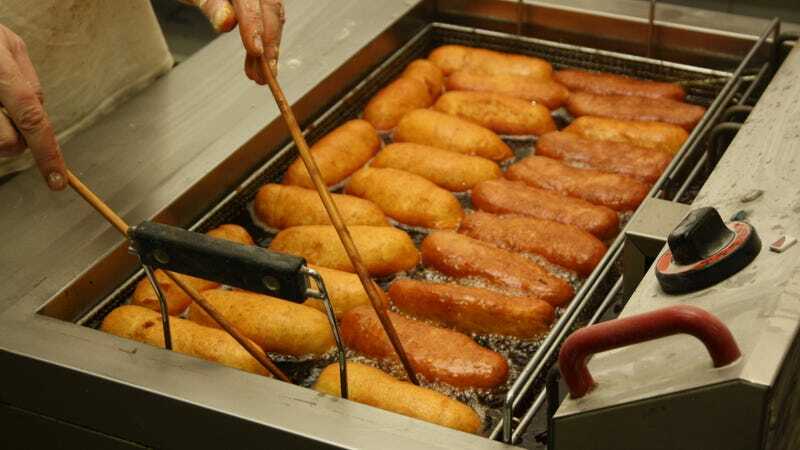 Trans fats are also used in some deep frying, and can often be found in baked and processed snack foods. The consumption of trans fats increases a person’s risk of heart disease by 21 percent and premature death by 28 percent, according to the WHO. Partially hydrogenated oils also lead to increased inflammation and endothelial dysfunction, a condition that precedes atherosclerosis and clogging of arteries. Globally, around 500,000 people die each year due to trans fat-induced cardiovascular disease. The CDC says a reduction of trans fat consumption would prevent between 10,000 to 20,000 heart attacks each year, and 3,000 to 7,000 coronary heart disease deaths annually, in the United States. Manufacturers say PHOs extend the shelf life of foods, and that they are cheaper than the alternatives, but the WHO contests both of these claims. Speaking to reporters, Ghebreyesus said today’s announcement marks the first time that WHO has called for the elimination of a significant lifestyle factor responsible for a non-communicable disease. As noted, some countries have practically eliminated industrially produced trans-fatty acids by enforcing limits on the amount that can be added to packaged foods. Some countries and jurisdictions have even taken the step of imposing bans on PHOs—the main source of industrially produced trans-fatty acids. Denmark was the first country to impose restrictions on trans fat over a decade ago, and in 2015, the US Food and Drug Administration took steps to eliminate PHOs from the American food supply by this year. New York City enacted restrictions 10 years ago, and studies suggest the move is already paying dividends in the form of reduced rates of cardiovascular disease—a claim that remains controversial. Trans fats seem to be unhealthy because they increase levels of low-density lipoprotein (LDL, or “bad”) cholesterol, which has been linked to cardiovascular disease, stroke, and type 2 diabetes. At the same time, trans fats decreases high-density lipoprotein (HDL, or “good”) cholesterol, which has the beneficial effect of transporting cholesterol from the arteries to the liver for processing. Meanwhile, eating unsaturated fatty acids lowers a person’s risk of heart disease by offsetting the negative effects of PHOs on blood lipids—the fatty substances found in the blood, including cholesterol and triglycerides. In its guidelines, the WHO recommends that people reduce their total trans fat consumption to less than 1 percent of their total daily energy intake. So for a 2,000 calorie per day diet, that’s no more than 2.2 grams of trans fats a day. The WHO’s recommendations are exactly that: recommendations. As Walter Willett, a professor of epidemiology and nutrition at Harvard T.H. Chan School of Public Health, told CNN, the WHO has no enforcement capacity, so national and local governments will have to do the heavy lifting in this regard. Eliminating all industrial-manufactured trans fats from the global food supply by 2023 is an ambitious, perhaps unrealistic goal. It’s also important to point out that naturally occurring trans fats from cud-chewing mammals like cows and sheep will continue to appear in food products, such as milk, butter, and yogurt. But a deadline is good, as it imparts urgency. As the WHO rightly points out, there’s no excuse to keep using trans fats in products. The issue now is one of will. This is the DRC’s ninth outbreak of Ebola. During the 2014-15 Ebola outbreak, 11,310 people died and 28,616 were infected across West Africa, the Centers for Disease Control and Prevention reported.